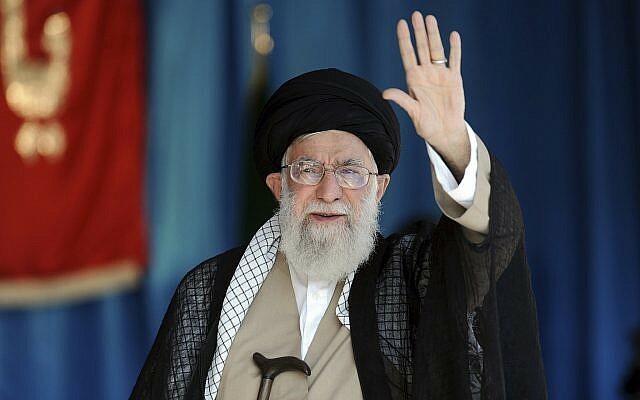 TEHRAN –Iran's supreme leader Ayatollah Ali Khamenei said Saturday that President Donald Trump has "disgraced" US prestige and would be the ultimate loser from renewing sanctions on the Islamic republic. "This new US president... has disgraced the remnant of America's prestige and that of liberal democracy. America's hard power, that is to say their economic and military power, is declining too," he said on his Persian Twitter account, quoting a speech in Tehran. A defiant Khamenei dismissed the renewed US sanctions -- including an oil embargo -- that take effect on Monday. "The challenge between the US and Iran has lasted for 40 years so far and the US has made various efforts against us: military, economic and media warfare," he said. "There's a key fact here: in this 40-year challenge, the defeated is the US and the victorious is the Islamic republic." Trump announced in May he was withdrawing from the 2015 nuclear deal and reimposing sanctions, sparking outrage among world powers who say Iran has been complying with commitments to restrict its atomic programme. Washington says it wants a new deal with Iran, curtailing its regional interventions and missile programme -- demands which have been flatly rejected by Tehran.